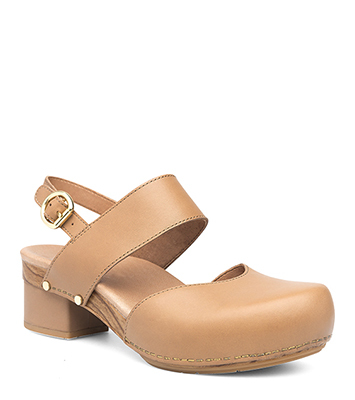 The Dansko Sand Full Grain from the Malin collection. 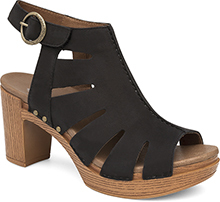 A chic closed-toe, open-back shoe, the Malin is modern with a nod to the traditional Mary Jane. Made with sturdy staple construction and with a leather-covered memory foam footbed, the shoe shows off its sense of style with a leather-wrapped heel and durability with a long-lasting rubber outsole.